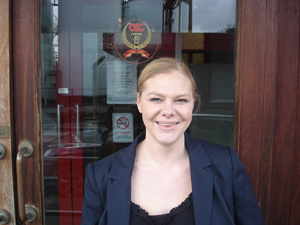 Waste management specialists Cleansing Service Group (CSG) have appointed Joanne Bulmer (28) as a Technical Sales Manager. The appointment reflects the company’s investment in people to help expand its growing portfolio of services. Working from a Newcastle upon Tyne base, Joanne will be working closely with new customers in the company’s Northern Region covering Middlesbrough to Lancaster and into Scotland. Joanne has gained extensive experience of field sales over the last eight years including two years in the waste industry. She will be dealing with many of CSG’s extensive range of hazardous and non-hazardous bulk and packaged waste management services it provides to industrial and commercial customers. Tank cleaning and 24-7 spill/emergency response are also services she will be handling.